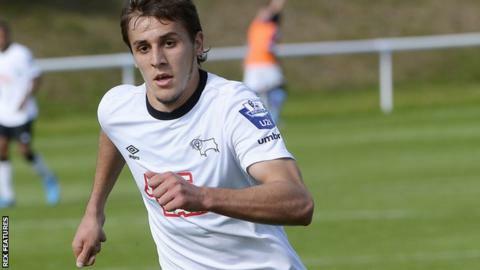 Midfielder Alban Bunjaku has left Championship side Derby County by mutual consent. The 21-year-old, a youth player with Arsenal who was also previously on the books with Spanish La Liga side Sevilla, joined the Rams in June 2014 but failed to play a first-team game. While playing for the Rams' Under-21 side, Bunjaku featured for Kosovo at international level. His contract at the iPro Stadium was due to expire at the end of the season.